Scientists found that relatively slow electrons are produced when intense lasers interact with small clusters of atoms, upturning current theories. The discovery of slow, low-energy electrons produced by the intense laser cluster interactions provides a missing link in scientists' understanding of the process, and could explain why biomolecules are damaged. Lead scientist Dr. Bernd Schütte, who performed the experiments at the Department of Physics at Imperial, said: "Many factors including the Earth's magnetic field influence the movement of slow electrons, making their detection very difficult and explaining why they have not been observed earlier. 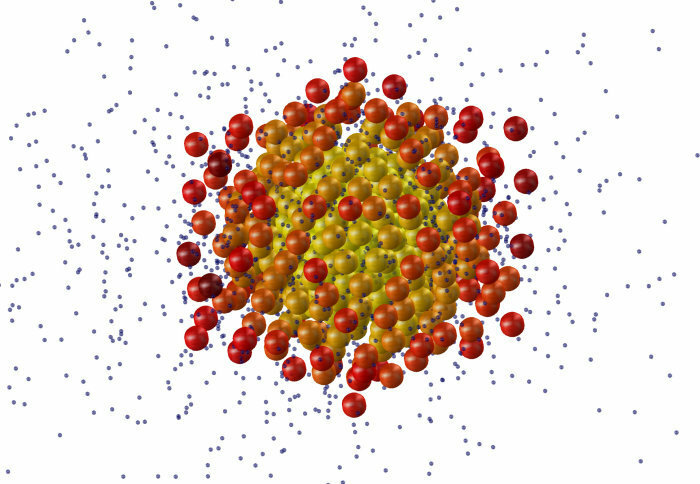 Our observations were independent from the specific cluster and laser parameters used, and they help us to understand the complex processes evolving on the nanoscale." Senior author Professor Jon Marangos, from the Department of Physics at Imperial, said: "Researchers have been studying the energetic emission of particles from laser-irradiated atomic clusters since the mid-1990s. "What is surprising is that until now the much lower-energy delayed electron emission has been overlooked. It turns out that this is a very strong feature, accounting for the majority of emitted electrons, and may play a big role when condensed matter or large molecules of any kind interact with a high intensity laser pulse." In order to understand the experimental observations, Professor Thomas Fennel and colleagues from the University of Rostock and the Max-Born-Institute simulated the interaction of the laser pulse with the cluster. 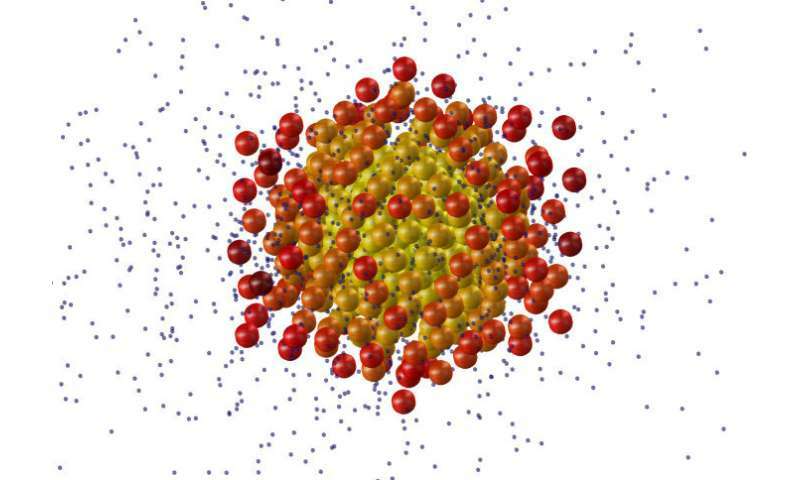 He said: "Our atomistic simulations showed that the slow electrons result from a two-step process, whose second step relies on a final kick that has so far escaped researchers' attention."